NEW YORK - New York City Mayor Michael Bloomberg has helped light the Rockefeller Center Christmas tree, putting a spotlight on a small-town spruce from Pennsylvania. The 74-foot-tall Norway spruce was illuminated by 30,000 lights during a ceremony Wednesday night. The crowd was entertained by Neil Diamond and Cee Lo Green. Justin Bieber and Tony Bennett provided pre-taped performances. The tree was cut down in Pennsylvania. It's decorated with 5 miles of lights. The lights will be on until Jan. 7. After that, the Christmas tree will be turned into lumber for the housing charity Habitat for Humanity. 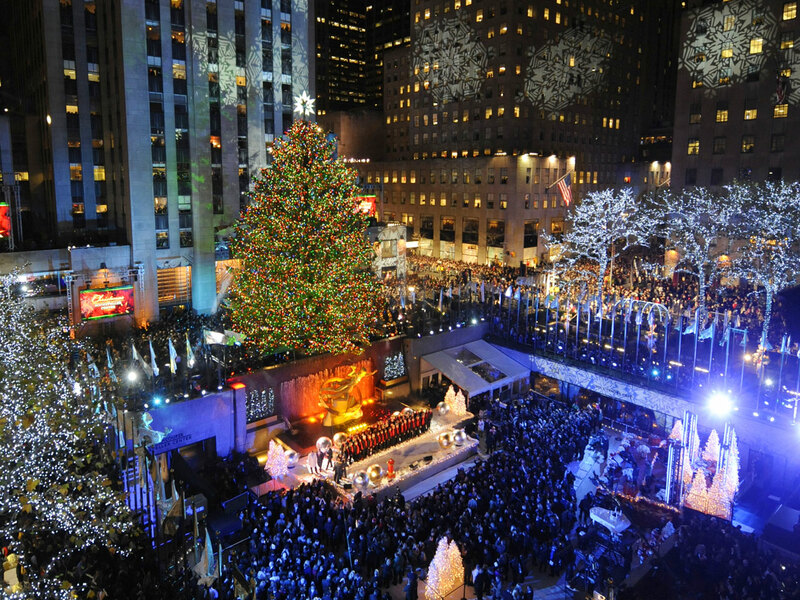 Workers building Rockefeller Center set up the first Christmas tree there in 1931. The first official tree-lighting ceremony was in 1933.